Many great ideas are formed under pressure. Crisis forces people to innovate to survive. This is the case in Cape Town, South Africa, which late last year was predicted to be the first global city to run out of water. The combination of poor infrastructure and accelerating climate change drying out the water reserves in the Western Cape meant that an imminent drought was thought to be inescapable. In response to this impending disaster, the government launched the 'Day Zero' campaign, announcing a date in early April 2018 when all water systems across the city were expected to be shut off if the population of Cape Town didn’t drastically reduce their water consumption. The campaign, though risky, was certainly effective. Cut to December 2018, and Cape Town has not run out of water—or at least, not yet. But how did the city avoid reaching breaking point with its water supply, and what lessons does this example offer to MBA students—not just about crisis management, but about the future of sustainable business itself? 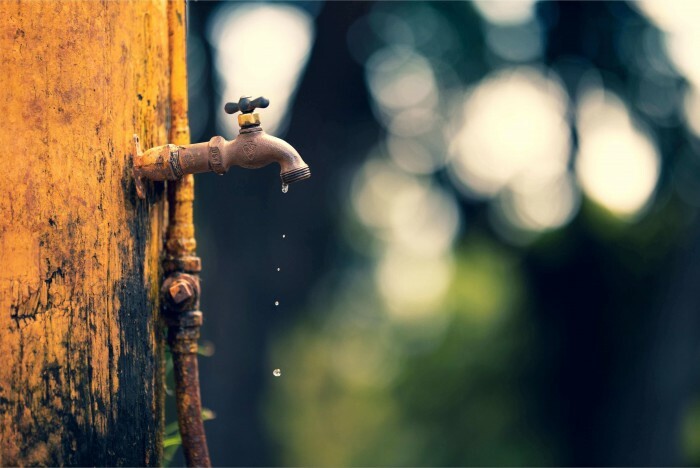 For Sandra Richez, the MBA director at EDHEC Business School in France, the water crisis in Cape Town offers an invaluable case study in sustainability for MBAs. Sandra takes MBA students on a trip to Cape Town every year, and has experienced alongside them the stark changes in attitudes to water that have occurred under the influence of the 'Day Zero' campaign. These kinds of water-saving techniques were pervasive wherever they went in the city, Sandra says. Experts have credited the dramatic reduction that the 'Day Zero' campaign elicited with pushing back the prospect of drought. In effect, the 'Day Zero' tagline operated as a successful marketing campaign, making a bold and urgent statement to the city’s water consumers, and seeing a proportionate impact. Everyday alterations to water consumption weren’t the only means that Capetonians were using to avert the crisis, however. Sandra notes that exciting innovations were happening across the city to try to solve the problem in the long term. The EDHEC MBA trip to South Africa is run in partnership with Stellenbosch University, which has its own Sustainability Institute. On their trip, MBAs from EDHEC got to experience the Institute’s Lynedoch Eco-village, a living laboratory developed by the university to test-run a more ecological style of living. Residents of the Eco-village not only recycle household water, but plant fewer water-intensive crops, and educate children from an early age about the scarcity of their natural resources. The trends that Sandra has seen towards a sustainable society built on municipal management and community spirit is in line with an attitude that she sees across South Africa, and which she thinks that students from Western countries could learn from. “One of the things that strikes students about South Africa is that every company they meet is especially focused on the community,” she explains. “You don’t feel that in the same way when you visit companies in London, for example, who are more focused on numbers. “In South Africa, when you ask businesses how they measure their success, they’ll very often say things like ‘We’ve created jobs in these communities,’ or ‘Our employees are staying for longer and their children are the first in their families to go to high school’—that’s designed into companies from day one. However, Sandra also uses the trip to highlight to her MBA students that community spirit can only go so far, and that businesses, governments, and charities all need to work together to make long-term structural change. Hermina Kooyman, a South African manager of enrolment and career services at Maastricht School of Management (MSM), agrees. The curriculum of the MBA at MSM incorporates sustainable business development as a core course, and even offers a specialization in international business and sustainable development. According to Hermina, one of the things that the crisis in Cape Town proves is that water resource management will become a big issue in the future. Taking risks—like the 'Day Zero' campaign, or making green infrastructure a business priority—and being innovative will be vital to building successful, sustainable businesses. “The main challenge is in accepting the changes, and that they are not predictable,” she says. “This makes it very difficult to forecast and prepare a long-term strategy."